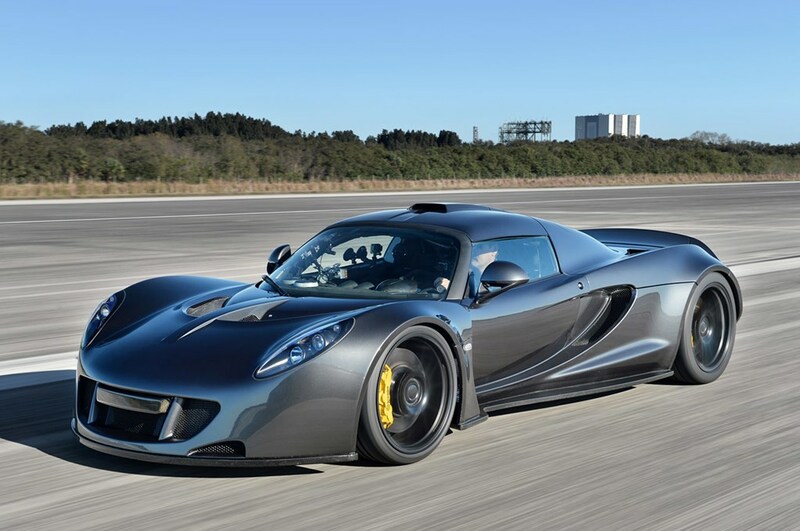 TEXAN tuning house Hennessey has knocked off Bugatti to claim a record top speed of 435.31km/h with its Venom GT at NASA’s 5.1km Space Shuttle landing facility in Florida. The v-max record was previously held by Bugatti’s Veyron Super Sport, but it was outpaced by the low-volume Hennessey Venom GT, by a mere 4.33km/h. The Venom GT already holds the 0-200mph (322km/h) title, so this new record is just another feather in its cap – at least it would be if the record was official. Guinness World Records won’t validate a v-max record unless it’s performed twice – once in each direction – and averaged, to account for wind assistance and resistance. Had they managed to run a second pass, Hennessey would still be without the title because Guinness requires 30 cars to be built to qualify as a production car. Hennessey plan to build only 29 Venom GTs. Still, the Hennessey team aren’t fazed. They have their sights set on lap records at well-known tracks to validate the Venom as a record-breaking machine. Underneath the familiar exterior of the Venom GT (think stretched Lotus) lies a thoroughly worked-over 7.0-litre GM LS-motor with a couple of turbochargers. Total output is an eye-watering 928kW. Check out the footage below of former Michelin tyre test engineer Brian Smith piloting the Venom GT to the recorded top speed of 435.31km/h (270.49mph).